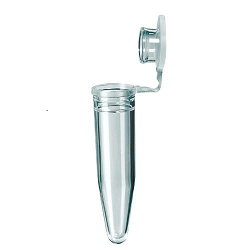 Pipette.com offers a variety of PCR Tubes which are designed with a thin and flexible wall for optimal efficiency during heat transfers. The combination of a thin, flexible, even thickness, and transparent wall gives your samples stability while increasing efficiency. All of our PCR Tubes can be used for real time PCR (qPCR). 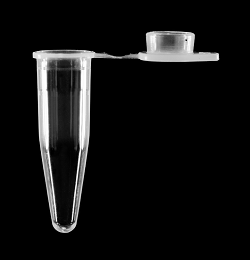 The PCR tubes are easy to open but provide a tight seal to prevent evaporation during the PCR process. PCR tubes and PCR Strip tubes are Manufactured to be PCR Clean to safeguard against outside contamination and ensure proper results during PCR processes. Designed to fit perfectly into different thermocyclers, these tubes feature flat caps that allow scientists and technicians to label samples easily. Low profile PCR Tubes and PCR Strip Tubes are ideal for fast PCR and low volume reactions while improving light capture in fluorescence assays. With some PCR strip tubes having low clearance and volume, they are easily able to fit into most microplate readers. 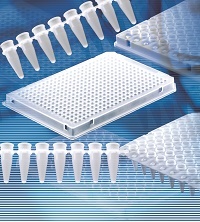 PCR Strip tubes and caps are a unique solution for laboratories seeking fast, adjustable set up for processes. Manufactured with virgin polypropylene within a clean room environment, PCR strip tubes can be cut into individual tubes, small groups of tubes, or left in the original string of tubes, typically 8. The flexibility of the number of tubes allows for greater ease of use within the laboratory, not requiring you to individually pull out multiple tubes. Designed to provide the highest convenience and quality when carrying out PCR protocols, PCR strip tubes consist of typically eight individually-capped thin wall tubes with a robust link between tubes. The robust inter-well linkage between each tube of the PCR Strip Tubes makes the tubes rigid, decreasing the chance of spillage. PCR Strip Tubes are built to fit together snugly with the angular design inside a thermal cycler and PCR plates. PCR Strip Tubes features include; ultra-thin walls for efficient thermal transfer and maximum yield, robust flex-free strips, and flat and domed optically clear caps. 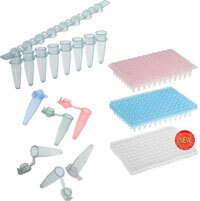 These PCR Strip Tubes are ideally designed for real-time PCR (qPCR). Caps have a patented 45° angular attachment that prevents cap hinges and lips from interfering with other caps, allowing for easier operation in an SBS format rack. The unique two-material manufacturing creates the perfect environment for consistent, reliable qPCR performance. White wells offer enhanced fluorescence reflection and optically clear caps ensure that the fluorescent signal is passed through unaffected. 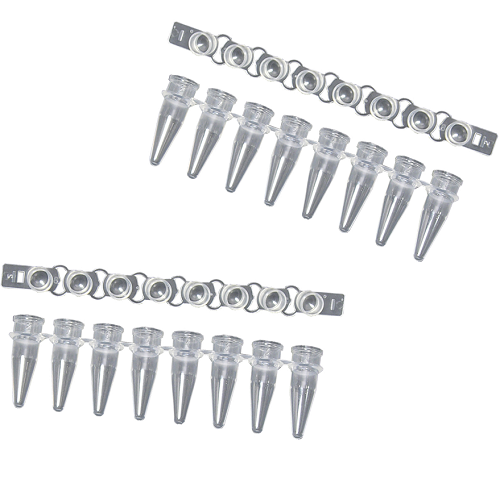 SSI PCR Tubes are available in 0.2 mL and 0.5 mL Flat and Domed Cap Tubes. SSI PCR Tubes features include UltraFlux and Ultra thin tube wall. Ideal for all Thermal Cyclers and PCR work. SSI PCR Tubes are DNase, RNase, DNA, endotoxin and PCR inhibitor free. Designed for oil-free operation, these reaction strips have an attached 8-cap strips molded with a living hinge to facilitate opening and closing. 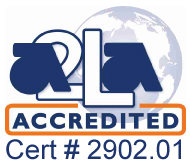 They are manufactured under strict quality control supervision to ensure reproducible results, using a special almost transparent polypropylene. BRAND PCR white and clear plates are manufactured from high-quality virgin plastics for excellent, reproducible results in most PCR applications. This collection of 24-, 48-, 96-, and 384-well plates are manufactured without lubricants or chemical additives that can contaminate reagents and samples. 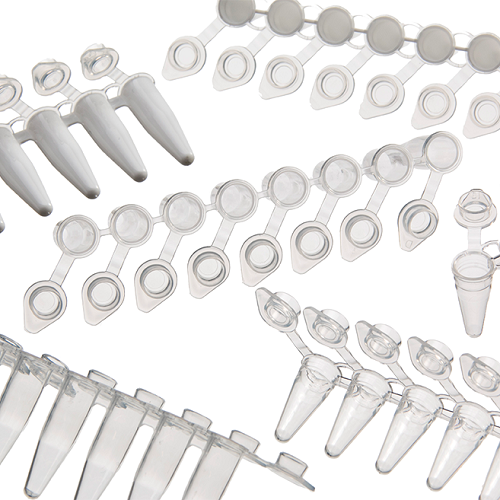 Optically clear single tubes, strip tubes, and 96-well plates are availabe in standard (0.2 mL) and low-profile (0.1 mL) formats for PCR and qPCR. NEST PCR Tubes have a volume of 0.2 mL and a flat cap type. NEST PCR Tubes are made from USP grade VI polypropylene, are compatible with most thermal cyclers and real-time PCR machine and have extra-thin walls to provide the optimal thermal transfer and shorter cycle times. PCR Tubes and Strips from MTC Bio are made of superior grade, highly transparent polypropylene for maximum sample visualization. PCR Tubes and Strips from MTC Bio are designed with ultra-thin walls and they ensure rapid thermal transfer. 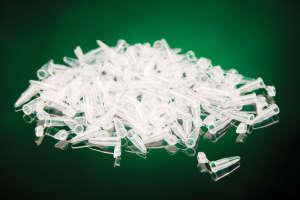 Eppendorf Fast PCR Tube Strips are made of Polyethylene to transfer heat more quickly and efficiently than tubes made of traditional plastic materials. Thus, Eppendorf Fast PCR Tube Strips allow scientists better control over their reactions.